Ask any Liverpool fan who our Player of the Season is so far, and we’d almost universally name Virgil van Dijk as the best in 2018/19. The Dutchman has been jaw-dropping at the back and has created the strongest Liverpool defence in decades – making virtually zero mistakes and playing superbly with superb consistency. Others may claim Mo Salah, who has scored countless winners and registered 17 goals in total, as our most impressive for the second consecutive campaign. But James Milner reckons summer signing Alisson is actually Liverpool’s Player of the Season so far because of the manner in which he’s adapted to a new league. “It’s hard to pick out one player because everyone in the squad has done so well, not just the 11 who are starting,” Milner told the official website. “I think maybe one you could select is Alisson. Coming to a new league is never easy. “It’s a new lifestyle and you are also getting used to the weather and things like that, but he’s been unbelievable: from how he is around the place, to how good he is on the pitch with his feet and with the saves he makes. Alisson, for us, is one of the best keepers on the planet. He can save shots others can’t, commands his area expertly and is unbelievably good with the ball at his feet. The 26-year-old has started attacks for us on multiple occasions, something neither Simon Mignolet or Loris Karius were capable of before him. 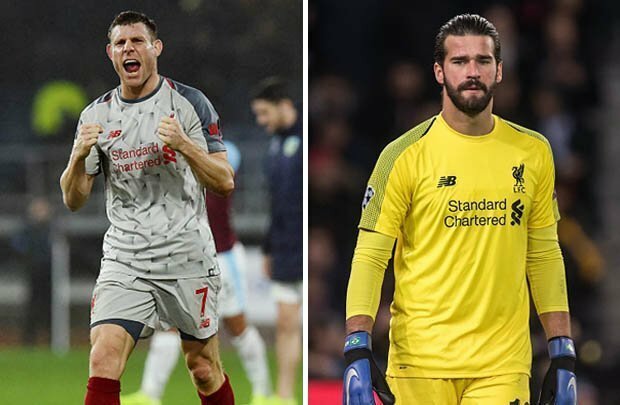 It’s a fair point from Milner to suggest Alisson’s arrival in the side has turned us from entertainers to winners.